The point on a self-drilling screw is designed to efficiently remove material and precisely size the hole for the thread. The length of the drill flute determines the metal thickness that can be drilled. Due to their need to drill and tap into various materials, the standard self-drilling screw is a case hardened heat-treated carbon steel. 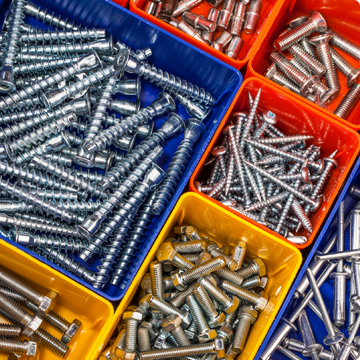 Self drilling Screws are commonly used in the electrical Industry and are typically used in metal to metal and metal to wood applications. They are ideal for attaching metal deck, clips, linear panels and accessories to structural steel or bar joists. They are also know as TEK Screws. The Pozi Pan Self Drilling Screws have a rounded top surface, cylindrical sides and a flat bearing surface. They are suitable for joining sheet metal, stiching, cladding, ducting etc.